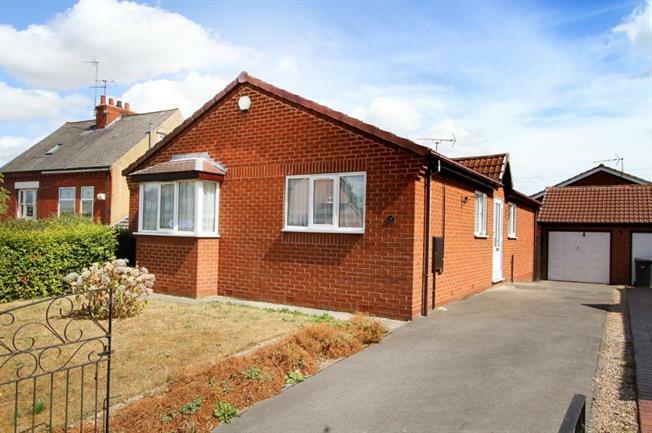 3 Bedroom Detached Bungalow For Sale in Sheffield for Guide Price £210,000. Offered for sale is this superb three bedroom detached bungalow situated in sought after Beighton Village. Well presented the property boasts an En-suite to the Master bedroom, uPVC double glazing and Gas central heating. Offered for sale with NO CHAIN we strongly recommend an early viewing. In brief the accommodation comprises; Entrance Hall leading to the Kitchen, open plan Lounge/ Dining room, Master Bedroom with En-suite, two further Bedrooms and the Family Bathroom. The property has a lawned garden to the front and generous driveway leading to the detached Garage. To the rear is an enclosed lawned Garden with patio. Beighton is extremely popular with buyers of all ages, sought after for its superb local schools and close proximity to Rother Valley Country Park. The area boasts excellent local transport links both by bus and Sheffield Supertram, and is ideally situated for links to both the M1 motorway networks and Sheffield City Centre. There are excellent nearby walks on the Pennine trail and the area offers a superb community feel with activities based at the 'Lifestyle' centre and Beighton miner's welfare centre home of the local Beighton Magpies football club. Ideally placed for Crystal Peaks Shopping Centre, Drakehouse Retail Park and a short drive to nearby surrounding local Derbyshire countryside the area has plenty to attract all buyers.